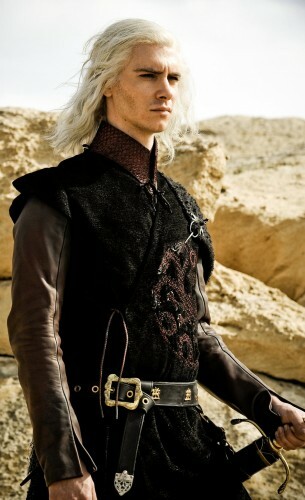 The only surviving son of the Mad King Aerys, as a little boy Viserys and his pregnant mother were spirited away from King’s Landing before the fall of the Targaryen dynasty. His mother died giving birth to his sister, Daenerys. Since then, Viserys and his sister have lived in exile, and Viserys has become known as the Beggar King because of their poverty as they move from Free City to Free City, trying to find someone who will aid him in retaking the Iron Throne. A thin young man, Viserys has the unnatural looks of the Targaryens, but he has lived too long in dread and privation; he has a notorious temper, and often abuses his sister.